When you’re considering adding a new car to the family, there’s a lot of exciting things to take into account. One such thing for shoppers in Doral, Miami, Kendall, and Hialeah to contemplate is whether you should buy or lease your next vehicle. We at Doral Toyota know this is a big decision to make. So, we’ve taken it upon ourselves to craft this Buying vs. Leasing guide to help you decide which is the better option for you. The first and most important thing to know when making this decision is just how different these two options are. The differences may seem obvious, but we’ll break it down for you to ensure that you have all the information you need. Buying a car consists of paying money in exchange for equity in the vehicle. The money you’re putting down is going towards paying off the overall cost of the vehicles. Leasing, on the other hand, is essentially the same as renting. The money you put down is like the rent you’ll pay for a temporary apartment. Check out our payment calculator to see how much you could pay for your next car. 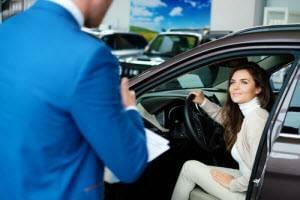 There are many pros to both buying and leasing a vehicle. 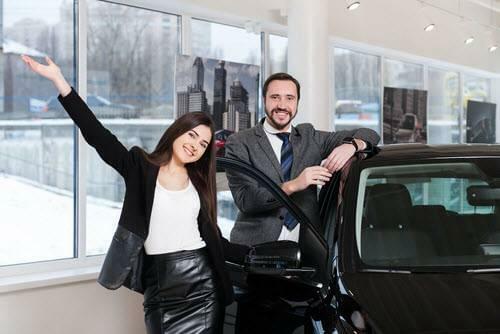 One pro of buying a car that’s very attractive to shoppers is the flexibility that comes with true ownership of a vehicle. Not only do you have the flexibility to customize the car how you please, but you also have flexibility in terms of how long you have the vehicle. Sell the car when you want or keep it for the next 20 years. As for leasing, you’ll find that one of the biggest pros of this option is the payment timeline. Leasing a vehicle involves either a low or no down payment and the monthly payments that you make during your lease are lower than you would if you were buying the vehicle. There are also cons to both options. In contrast to leasing, if you buy you’ll pay more in monthly payments and you’ll have to pay a down payment. Additionally, when you no longer have a use for the car, you’ll have to actively try to trade in or sell a car your purchase. With a leased vehicle, you’ll just take it back to the dealership and it’ll be up to you whether you want to buy it, or lease or buy a different vehicle. One of the biggest cons that comes with leasing a vehicle is the limited mileage. You normally have to pay more to drive more than 12,000 miles a month. When you buy a car rather than lease it, you can drive unlimited miles. Now that you know the differences between leasing vs. buying your next vehicle, we hope you’re confident in whichever option you’ve chosen. Whether you’re planning to buy or lease your next vehicle, we at Doral Toyota are excited to help you take the next step. Shoppers in Doral, Miami Kendall, and Hialeah should contact us today for more information about your buying and leasing options, as well as the cars we have in stock.